The premier, fun, way to learn our fantastic dance. Welcome to our website. 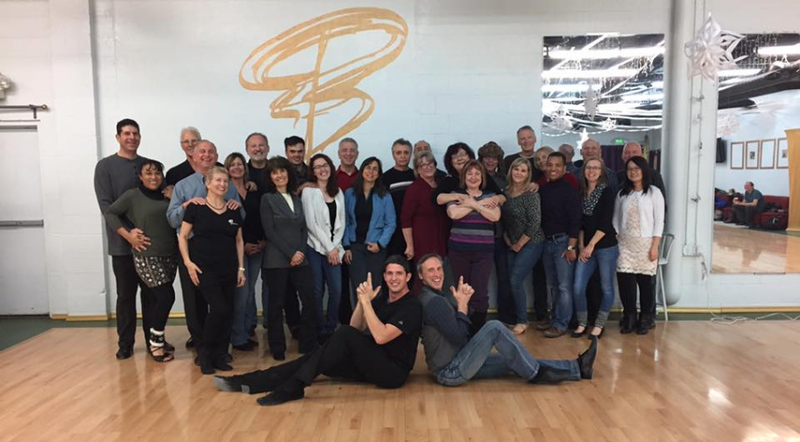 This website is your portal to help grow our West Coast Swing Community in Reno, Sparks and Carson City, Nevada, grow. Each week we hold a free beginner class that is open to all levels. Our advance dancers attend the class to help give the newer dancers a feel for WCS and to work on their own dancing while doing basics. So it is a win-win. We have fun, laugh, tell stupid jokes and make new friends. Jeffrey is by no way your average run of the mill teacher. He wants to have fun and so the classes are fun. [Instructor] Jeffrey Munson has been an Allstar and Champion dancer as well as competitor for over 25 years and is happy to help you learn and enjoy. I think the smiles say it all in this picture. You're doing it right! Now you have my comment, lol. Do your dance man, do your dance! is there a telephone number?